Pope Francis’ encyclical letter on ecology is titled “Laudato Si’, On Care for our Common Home.” “Laudato Si'” is a quotation from a popular prayer of St. Francis of Assisi praising God for the creation of the different creatures and aspects of the Earth. Cardinal Peter Turkson, president of the Pontifical Council for Justice and Peace and the first cardinal from Ghana had a 4-day visit to Ohio State’s Columbus campus for a community discussion on global sustainability. He shared reflections on Pope Francis’ Encyclical on Ecology and visited with students to learn about their work in sustainability. For a photo gallery of his visit, click here. 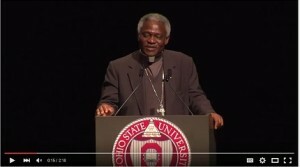 For an overview video recording of the Cardinal’s visit to The Ohio State University, click on the image below. For the full recording of his public speech: How We Live in our Common Home, Reflections on Pope Francis’ Encyclical on Ecology, click here. For articles about the visit, click here and here. We are caretakers and co-creators with God. We are not owners. Our environmental sins impact all Creation but they fall most heavily on our poor and vulnerable brothers and sisters. We are called to live an integrated life, cooperating with God’s design and our relationships with one another and with the natural world. There are real solutions to environmental problems which must be guided by core Gospel values and call us to act more like true disciples. Consumerism drives many of our environmental problems. 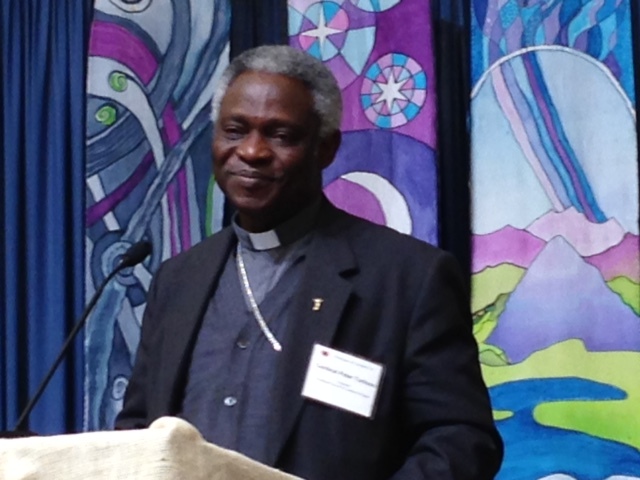 There is an urgency to begin acting now at every level; individual, parish, community, nation, and world. Small efforts matter. But it is a global problem requiring global solutions. First, read the Pope’s Encyclical. It is posted on the Vatican’s website in several languages. Take time to read it with an open heart and an open mind. You can buy a copy of the Encyclical, here. 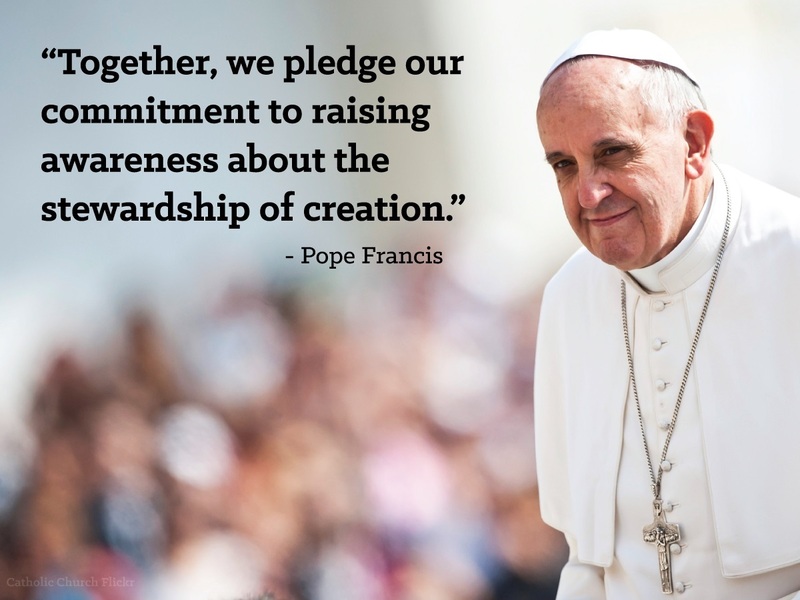 The United States Conference of Catholic Bishops’ Statement on the Encyclical is here. Read statements concerning the environment and climate change from the World’s Religions. Click here. 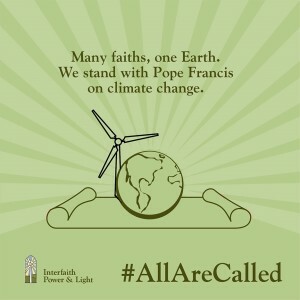 Write about the encyclical as a person of faith. You might want to submit a Letter to the Editor to your local paper; write for your faith community’s newsletter; or blog! Spread the word through your social media platforms. Post to Facebook. Follow the IPL twitter feed #AllAreCalled. Talk to your family and friends. Get the Climate Conversation going! Listen to an interview with Greg Hitzhusen, OhIPL, Chair, on the importance of the Pope’s message. Click here. Make sure your congregation is being a good ENERGY steward. Find ways to be more energy efficient or join the Energy Stewards program. For resources prepared by the United States Conference of Catholic Bishops on the Encyclical (e.g. Discussion Guide; Bulletin Inserts; Children’s Books,), click here. Invite your local legislator to your congregation to talk about energy efficiency and how houses of worship are responding to climate change. Take the Take the Paris Pledge, individually and as a congregation. 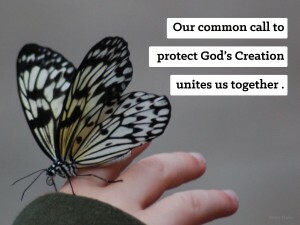 Read this sermon, “Care of Our Common Home” by Rev. John Elder of Oberlin (given at his summer church in New York). 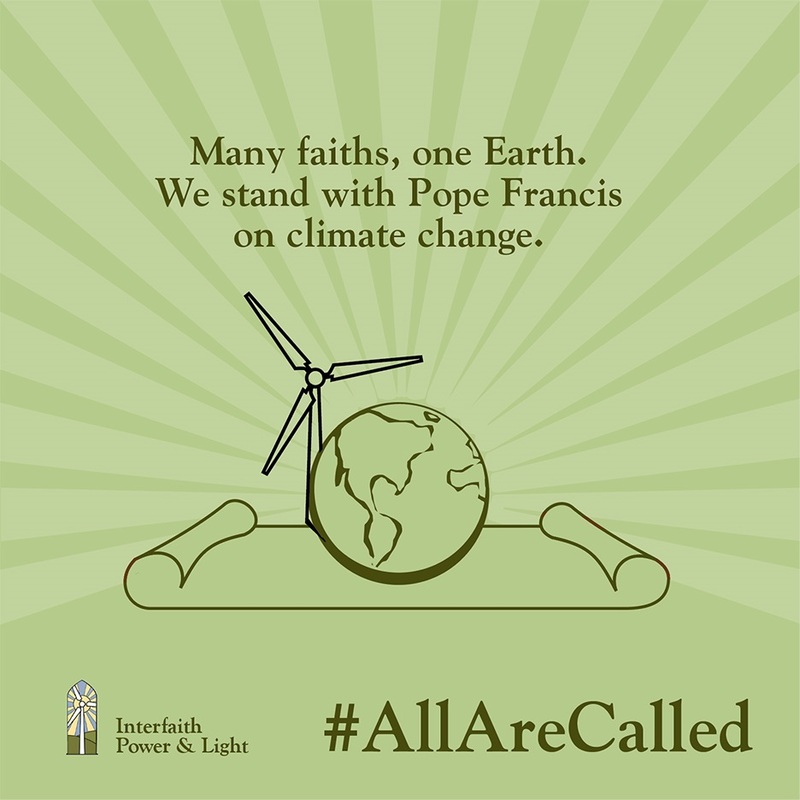 Reach out to your state and federal legislators and ask them to read the encyclical. Talk to them about your personal connection to the issue. Ask them to ensure public policies that are finding solutions to the climate crisis. For a very easy way to send an email to your federal representatives about the importance of climate action, click here. Work together to find ways your community can be more sustainable and resilient. Organize for change! Watch “The Story of Change” about coming together to change the rules of the game!